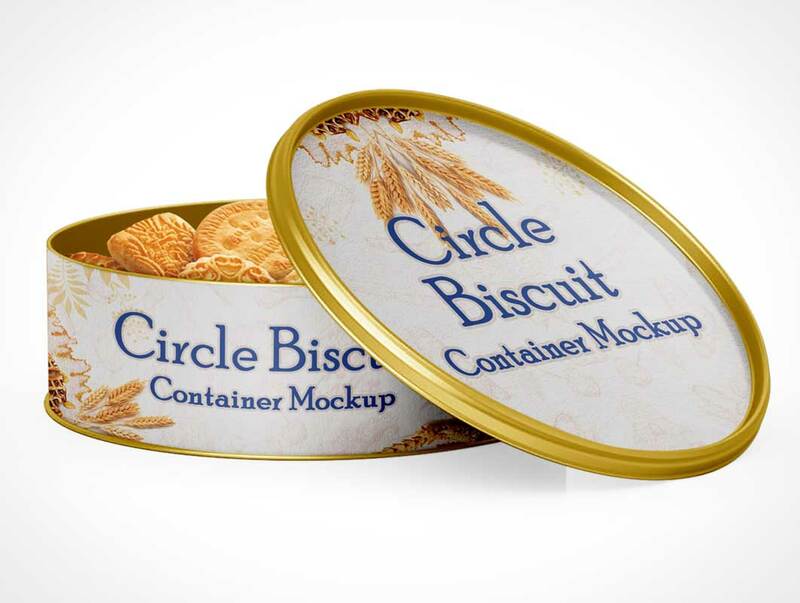 Biscuit or cookies packaging and container mockup in circle style provides two shots of PSD mockup template to showcase your container packaging design project. This is a simple mockup set which still gives you easy customization to edit the template, put your label design with just drag and drops, change the tin container with simply click the color picker. 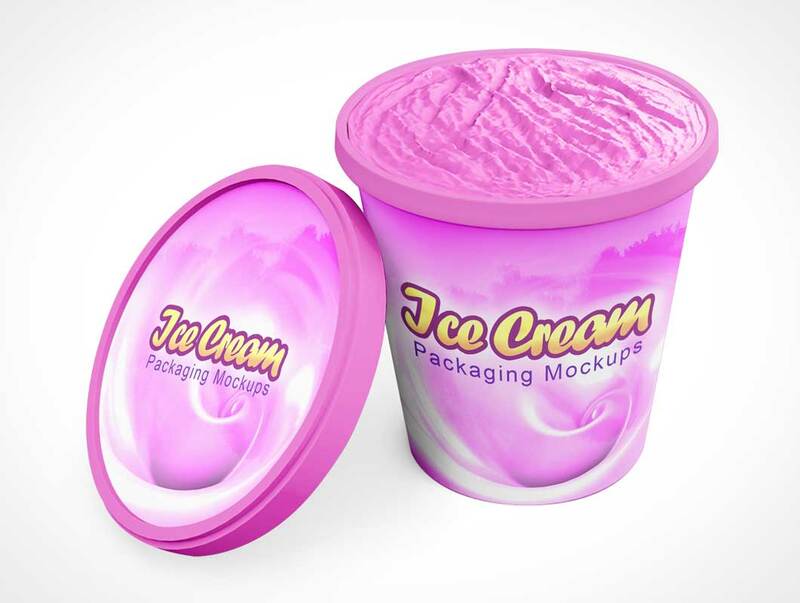 It is a single view of Ice Cream Bucket Mockup which you can download for free, well-organized layer to make it easier to edit, separated cap and bucket body so you can make each of them on or off. Changeable color and customizable shadow and highlight.